Coral Grand is an elegant and scenic resort located on Sairee Beach of Koh Tao Island, known as Turtle Island. Koh Tao Island received its name from the many turtles that lived on the island decades ago. It is one of the most outstanding diving locales in the world, discovered only less than 20 years ago in the center of the deep Gulf of Siam, in Southern Thailand. 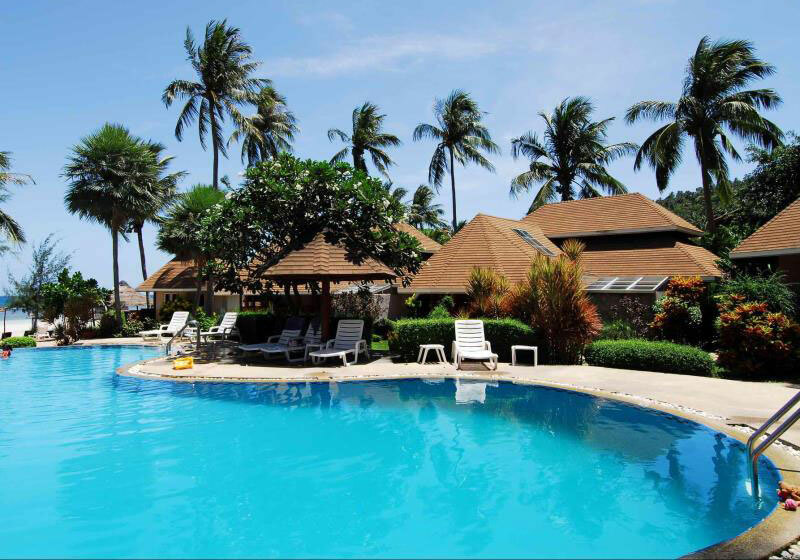 Coral Grand Resort offers 42 charming and comfortable cottages made of tropical woods such as coconut trees and bamboo shoots. We also have 60 dive accommodations that are available for guests who are interested in taking dive courses and/or doing fun dives. Our impressive swimming pool, tropical garden, and atmospheric restaurant are only a few of the many things to enjoy at our resort. Our dive center Coral Grand Divers operates PADI diving courses and dive packages as well as fun dives and other exciting activities available from our fully self-contained PADI (Professional Association of Diving Instructors) Licensed Dive Center. Coral Grand Divers is one of the only National Geographic PADI 5 Star Gold Palm Diver Centers on Koh Tao, and our beachfront location makes for a very enjoyable learning experience! Short Description: Coral Grand is an elegant and scenic resort located on Sairee Beach of Koh Tao Island, known as Turtle Island. Koh Tao Island received its name from the many turtles that lived on the island decades ago.